Martha Kearney uncovers the secrets within the government files of 1983 - who said what in cabinet, and what did the prime minister really think about the issues of the day? It was the year that Compact Discs and £1 coins were first sold in Britain. The country was introduced to the joys of wheel clamps and breakfast television, and Shergar - the most valuable racehorse in the world - was stolen, never to be seen again. 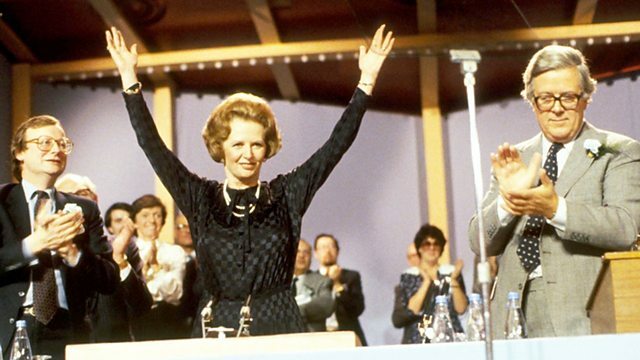 It was an election year, and Prime Minister Margaret Thatcher was riding high on the Falklands victory of the year before. Peace campaigners were demonstrating outside Greenham Common as the American nuclear missiles arrived, and Britain entered talks with China over the future of Hong Kong. As the official Cabinet papers of 1983 are opened to the public for the first time, Martha Kearney discovers what the big stories were inside Government that year. With access to the Prime Minister's personal correspondence, minutes of top secret meetings and telephone calls, and confidential policy advice, Martha can now offer fresh insights into history. There are the secret messages between Margaret Thatcher and Ronald Reagan, the Prime Minister's highly colourful comments on points of view she disagreed with, and entertaining messages between staff at Number 10. Martha is joined by key insiders from the time to help her interpret the papers and give their own impressions of the revelations within them. "Promising though William Hague is..."